Sonic Heroes, one of the games that according to some started the wave of bad games in the Sonic franchise, is now available on the Playstation Store in Europe for £7.99/€9.99 for the Playstation 3. This was released along with other PS2 games under the PS2 Classics label on SEN. Note that these games (Including Sonic Heroes) didn’t get the HD treatment certain other “classics” like the God of War or Sly Cooper franchises got. These are exactly the same as the original versions, with the resolution being upscaled to what you have in your PS3 settings. So yes, this means it’s the worst version of Sonic Heroes. 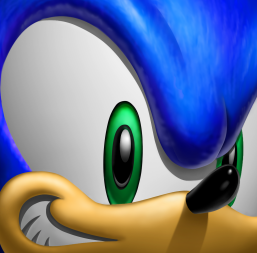 And no, this does not mean that Sonic Adventure 2: Battle will be getting a re-release. Also, the file size is 4.5 GB, so if for some reason you actually want to buy this game make sure you have enough space on your PS3’s hard drive. Announced at the Nintendo Direct live stream earlier today, a crossover game for the Nintendo 3DS between Capcom, Sega and Bandai Namco is in development. The last of these three is also doing the publishing and one of their developers, Banpresto, best known for the Super Robot Wars franchise, is making the title. That’s all that there’s known at the moment. Any details like what franchises appear in the game or if the game will even hit stores outside Japan still need to be announced. You can visit the teaser site here, but there’s not much there to discover besides the company logos. Still, whatever this is may be worth keeping an eye on.